The Master of Business Administration (MBA) is a general management program which emphasizes an integration of the business disciplines within a Christian, ethical framework. It is designed for students with an undergraduate degree in either business or in a non-related field. When required, leveling courses (prerequisites) are offered for the non-business undergraduate. Business undergraduates may or may not require leveling courses before beginning their graduate study. Courses are taught primarily for MBA students. Thirty-six hours are required for graduation. The program is traditional in its course offerings but nontraditional in its scheduling. It is designed for the working professional. Each on-campus course meets in the evening once a week for six weeks at University Center of Greenville. Each week consists of two segments. One segment meets as a traditional, four-hour class and the other segment convenes online for group/case work during the rest of the week. Typically, only one course is taken at a time. The Master of Business Administration (MBA) is a general management program which emphasizes an integration of the business disciplines within a Christian, ethical framework. It is designed for students with an undergraduate degree in either business or in a non-related field. When required, leveling courses (prerequisites) are offered for the non-business undergraduate. Business undergraduates may or may not require leveling courses before beginning their graduate study. Courses are taught primarily for MBA students. Thirty-six hours are required for graduation. The program is traditional in its course offerings but nontraditional in its scheduling. It is designed for the working professional. Each on-campus course meets in the evening once a week for six weeks at University Center of Greenville. Each week consists of two segments. One segment meets as a traditional, four-hour class and the other segment convenes online for group/case work during the rest of the week. Typically, only one course is taken at a time. 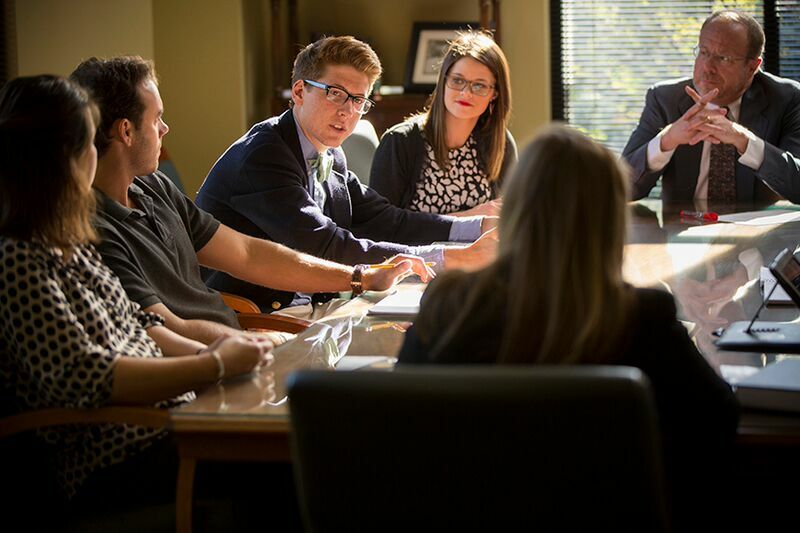 Want more info about Anderson University - South Carolina College of Business MBA? Get free advice from education experts and Noodle community members.